EPOS2 50/5 Positioning Controllers - maxon precision motors, inc. 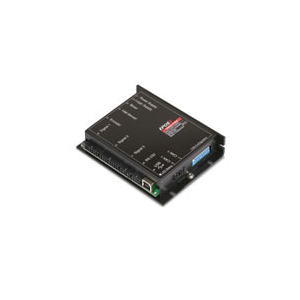 The new maxon EPOS2 50/5 positioning controllers are the ideal choice for applications that require decentralized drive intelligence, that are based on a CANopen standard, covering a performance range from 1-700 Watts. They can operate in position, speed and current control mode, and can be configured to operate with DC Brushed and Brusless motors. The new EPOS2 offers excellent security and protection against electromagnetic interference. With a suitable master, coordinated multi-axis movements and any profile can be carried out in a 1-axis system. The upgraded regulation tuning functionality is an effective time-saving tool for adjusting power, speed or position control.